On 23rd of July the birth anniversary of Lokmanya Tilak was celebrated by the students of GJC and Abhyankar Kulkarni Jr. College. 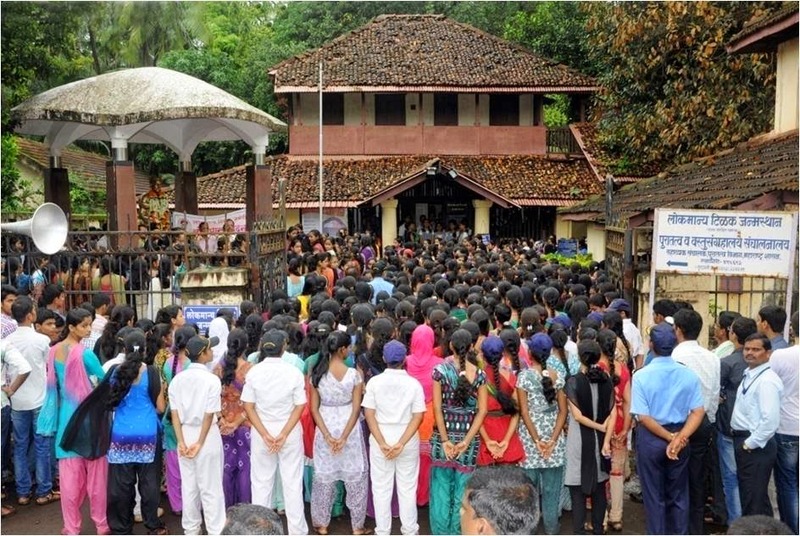 Hundreds of students along with their teachers made an active participation in the rally organized to Lokmanya Tilak birth place in the Tilak Lane in Ratnagiri. The rally was headed under the wings of Prof. Dr. Kishor Sukhatankar, the principal in-charge of our college. After the students and the teachers reached the venue, Dr. Sukhatankar expressed his views about Lokmanya Tilak and threw light upon his immense contribution to India's struggle for freedom. On this occasion, the students of Sanskrit dept. of our college presented the 12th Adhyaya of the Bhagvadgeeta. Also some patriotic songs were presented by the students of G.G.P.S. followed by the singing of an aarti for Lokmanya Tilak to pay homage to this great leader of our nation. The program was anchored by Dr. Kalpana Athalye, Head of the Dept. of Sanskrit, who also proposed the vote of thanks. 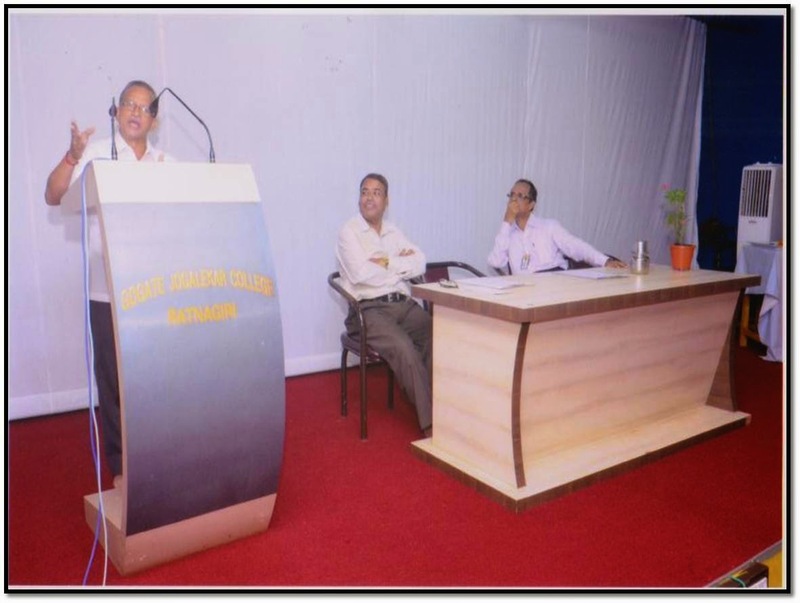 “NSS offers a healthy atmosphere and opportunity of team work” said Dr. Kishor Sukhtankar, principal in-charge of our college while inaugurating the NSS orientation workshop conducted for the new entrants in the NSS Unit of the college. Dr. Chitra Goswami, the program officer of NSS, stated the purpose of this workshop in the beginning and had a quick preview of the Golden Jubilee Camp to be organized during this academic year and gave a brief outline of the souvenir to be published on the occasion. The Vice Principal of Arts faculty and the chief guest of the programme, Dr. Atul Pitre, who had been the former coordinator the NSS unit of our college, presented a statistics of the unbelievable contribution of NSS of the college to the rural development since 1970 and illustrated how every NSS volunteer is a part of a great nationwide organisation of college youth rendering selfless service for national development. Among the resource persons were, the Programme Officers of our NSS Unit, Prof. Vasudev Athalye and Dr. Sonali Kadam. Prof. Athalye introduced to the volunteers the generous concept of NSS ''brotherhood'' and the regular activities undertaken by the unit. This programme proved to be very useful for all the volunteers to get the exact idea of the work to be done in the current academic year as well as it motivated them to participate vigorously in all the activities of the NSS unit. The participants perform Dindi on to the rhythm of the traditional devotional songs sung by the singers in front. The inauguration ceremony of the Literary Association of our college was held at the Radhabai Shetye Auditorium of our college on 24th July, 2014. This year the inauguration took place in a very different and innovative style with a theme based programme Ek Tari Vaari Anubhavavi ( Let us Experience One Vaari at least). With reference to the Ashadhi Vaari that had taken place a few days before, the Literary Association organized this show to which the students of all the three faculties of our college made a remarkable contribution. The programme started with the Dindi in which the audience could have the glimpses of the Vaarkarees enthusiastically and wholeheartedly dancing on to the rhythm of the devotional songs. The Dindi, after it arrived at the Radhabai Shetye Auditorium starting from the entrance of the main building of the college, was followed by a musical sequence of Abhangas written by the saints and devotees of Lord Vitthal. 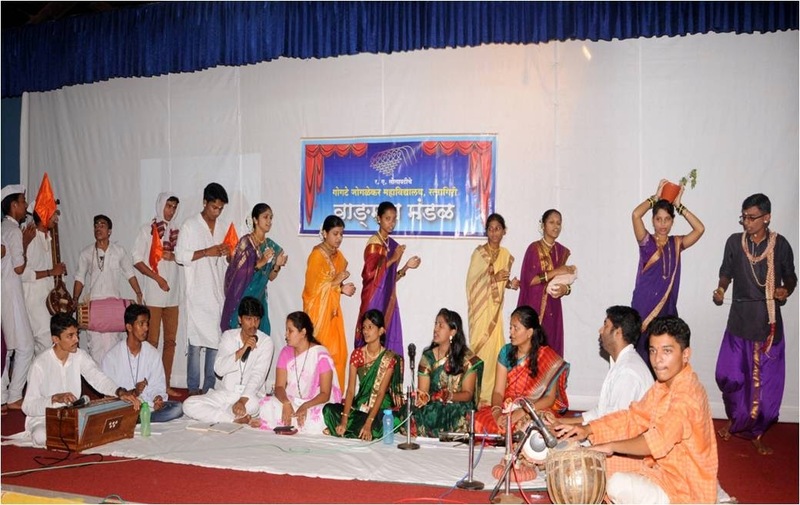 The intense devotion as expressed in the Abhangas and the harmony was very well transmitted to the listeners by the melodious singers namely Sukhada Muley, Kiran Joshi, Bhagyashri Shinde, Swapnagandha Rasal, Akshay Chavan and Vaidehi Patvardhan, who were accompanied by Prashant Lingayat and Omkar Kelkar on the Harmonium and Mridinga respectively. The principal in-charge, Dr. Kishor Sukhatankar, the vice principal of Arts Faculty, Dr. Atul Pitre, Head of the Literary Association, Prof. Shraddha Rane, Convener of the Cultural Dept .Prof. Anand Ambekar, all other members of the Literary Association , students and teachers graced the programme with their presence. Dr. Sukhatankar, at the end of the programme appreciated all the performances as well as the teachers who took efforts for the successful organization of such an innovative nature. 'Such songs of deepest devotion make us recognize the futility of the ego we cherish in all our life and the ultimate presence of the Almighty's spirit ', said Dr. Sukhatankar in his speech, quoting one of the Dohas of Saint Kabir. Towards the end of this programme, all the participants were felicitated with the certificate of appreciation by the hands of Dr. Sukhtankar and Dr. Pitre. The programme was anchored excellently by Master Bhushan Datar and Miss Vedavati Masurakar. Mr. Chavan, who has actively worked for the campaign for several years, and thoroughly studied all the aspects of the arrival of the atomic energy plants in the Konkan region, explained to the audience the governmental policies behind such plants, necessity and causes behind the rising demand for energy generation and the pros and cons of the plants established or are to be established in the region. Through the interactive session, Mr. Chavan satisfactorily answered each and every question asked by the audience. This young and studious lecturer urged the students to make use of natural resources of energy so as to avoid the increase of atomic energy plants and the evil effects that they have. The introduction of the programme was done by Dr. R.H. Kamble, while the speaker, Mr. Chavan was introduced to the audience by Dr. Surendra Thakurdesai. The Vote of thanks was expressed by Prof. Sachin Sangare. The Convener of the SSA and Head of the Economics Dept, Dr. Waman Sawant and all the committee members of SSA were present on the dais. The students of various social sciences attended the programme in a huge number. The Maharashtra State Inter-University Research Convention "Avishkar" is organized every year with the objective to develop research culture and scientific temper among students from undergraduate to doctoral level in the State of Maharashtra. The University of Mumbai conducts every year workshops for the students from the colleges affiliated to the university, so that the students aspiring to take up research activities can get the basic information about the research methodology and rules and regulations of the various rounds of Avishkar Research Convention. This year the workshop was organized in the Dnyandeep College, Khed , on July 28, 2014. Eight GJCians, including 5 students and three teachers participated in the workshop. The chief guest of the programme was, Dr. Ramesh Sane, Former Principal of Ruia College, Mumbai. Amongst the Resource Persons were Dr. Kamthekar, Dr. Anjali Patkar, Ms. Varsha Malavade, Dr. Vijay Tapas and Dr. Gadre, all the experienced persons in the field of research. Every year it is the matter of curiosity for all the students to know who wins the title of the Best Student of the College, which is declared on 1st of August on the occasion of Lokmanya Tilak Death Anniversary. Amongst the many nominations, a panel of juries selects the most versatile and talented student of the college who is declared as the best student of the college for the particular academic year. This year it was Master Kamlesh Malushte, a student of TYBcom, who was unanimously selected by the juries to be awarded. 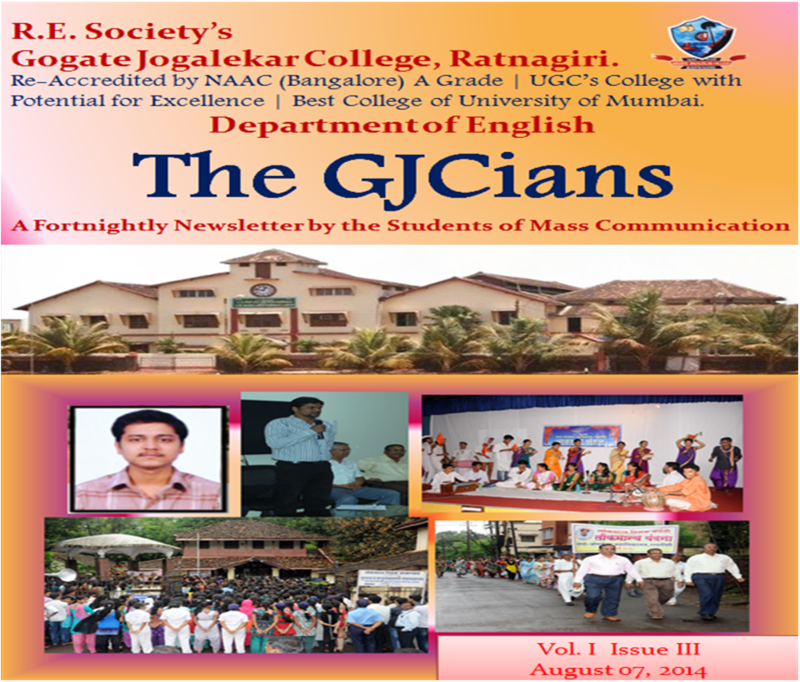 ‘Late Umesh Ghate Best Student Award’, a title of high esteem. Kamalesh was felicitated with a certificate and the prize amount by the hands of the Dr. Kishor Sukhatankar, the principal in-charge of our college. Kamlesh was selected by the juries as the most eligible deserving student to win the title this year, taking into account his excellent performance not only in studies but also in various co-curricular and extra-curricular fields. Kamlesh has been the topper and the class representative consequently for last two years and has been also awarded as the best CR (class representative) last year. He has played basketball at interschool level and has taken part in swimming competition as well. He is a Brown-belt Karate Champion too. He has also participated in many debate and elocution competitions and has recently cleared the IPCC (Integrated Professional Competence Course) which is the second stage of the CA Exam and now is engaged in his articleship. Hearty Congratulations to Kamlesh on his success!!! With the objective of building among the students confidence of public speaking, the Department of Urdu of our college organizes a seminar every week. The students are given a particular theme for the week and they have to make a presentation on the given topic. 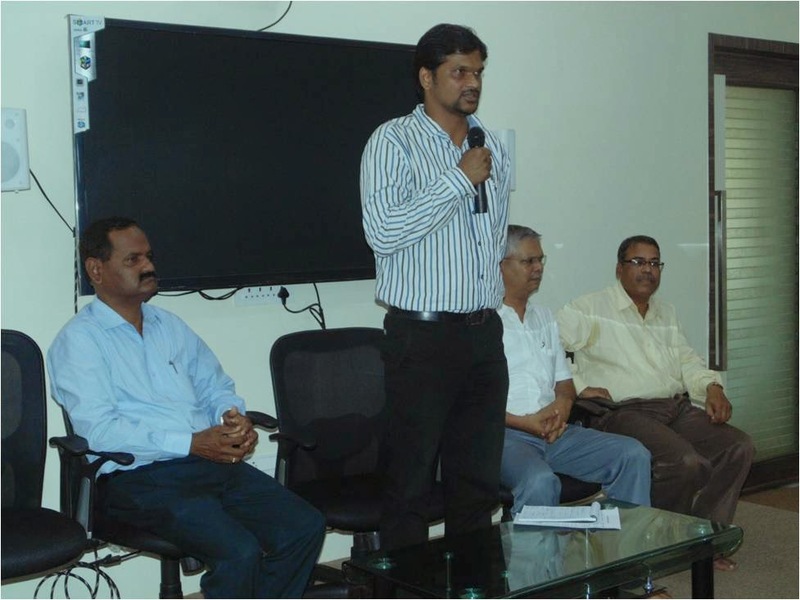 The third Weekly Seminar of this kind was organized by the department on Saturday; 2nd August, 2014. The theme, this time, was 'Mera Yadgar Safar' (My Memorial Journey). This programme was anchored by Miss Swaliha Solkar. All the students from the Urdu Department participated enthusiastically in this programme. They shared their experience and thoughts with the audiences present. Dr. Chitra Goswami (Hindi Department) was the honorable chief guest for this programme. She also expressed her feelings and the experience she got by visiting new and different places. Miss Sanobar Solkar and Neha Mukadam of S.Y.B.A. shared their memories of their visits to Raigad and Mumbai respectively. Similarly Miss Afrin Wasta of F.Y.B.A. shared her memories of her visit to Mumbai. Coming towards the end, the vote of thanks was given by Miss Swaliha Solkar. The programme was conducted under the guidance of Prof.Mohammad Danish Gani , the Head of the Urdu Department. On August 01, 2014, GJC organized a programme on the occasion of Lokmanya Tilak Death Anniversary. Mr.Shrikant Bapat, a voracious reader of the Literature on Tilak, was invited to deliver a lecture on the topic, 'Versatile Tilak'. Dr. Sukhatankar, the principal in-charge and Dr. R. H. Kamble, the convener of the Function Committee were present on the dais. Mr. Shrikant Bapat inaugurated the program by offering garland to the image of Lokmanya Tilak. 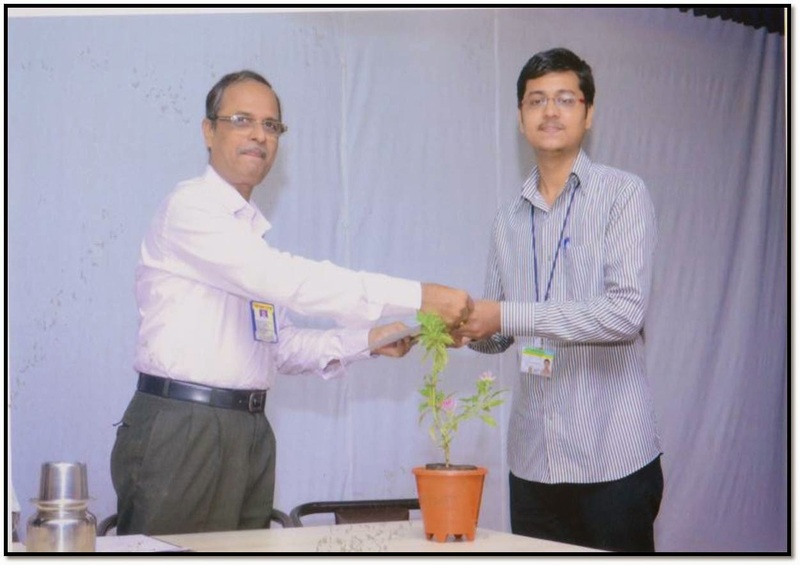 Prof. R.H.Kamble introduced the chief guest and Dr. Sukhatankar felicitated him with a tree sapling as per our tradition. Mr. Bapat in his lecture unfolded various aspects of Lokmanya Tilak's versatile personality. He introduced to the audience Lokmanya's quest for knowledge, his excellence in Mathematics, Sanskrit and Astronomy, his immense perseverance to solve the problems of the nation, dedication towards India's struggle for freedom, his fearless attitude as an editor, his loyalty in friendship and many such attributes of his dynamic personality. The programme also celebrated Tilak's 100 years of freedom from Mandalay. With respect to Lokmanya Tilak's love for and excellence in Sanskrit and Mathematics, the students who have achieved brilliant success in these subjects were felicitated on the occasion. Also the results of elocution and essay writing competitions were declared on the occasion. The report of the KTS exam conducted in the last academic year was read by Prof. Gosawi. One of the important events of the college, the declaration of the 'Unmesh Ghate Best Student Award' also took place on the occasion. This year, Master Kamlesh Rajshekhar Malushte, student of T.Y.BCom., who has done remarkable work in curricular, co-curricular and extra-curricular activities, was awarded the title 'The Best Students of the College' for the academic year 2014-15. On 25th of July 2014 the inauguration of the 'Arts Film Club' of our college was held in Radhabai Shetye Auditorium. This programme was e-inaugurated by the hands of Dr. Atul Pitre, Head of English Department and the Vice Principal of Arts Faculty. After that Prof. Vasudev Athlye with the help of a PPT informed the students about the objectives i.e. the 3 ‘A’s - Amusement, Awareness and Art, of the film club. He also gave a sincere thanks to all the faculty members for their help. After this, the critically acclaimed film 'Rang De Basanti' was screened. The main motivation behind this club is to create awareness among the students about different genres of films that are not easily accessible. The films screened under this club are highly acclaimed and Oscar nominees almost always. The aim behind this activity is to develop among the students a taste to watch and learn from some great movies acclaimed worldwide. Membership forms were distributed at the end of this 1st official screening of the movie 'Rang De Basanti' by the Arts Film Club. The next movie for the members of AFC will be screened on Friday, 8th of August 2014. I know, I know you must be thinking that this is yet another same old speech about life, which says that life is like an ice-cream and you should enjoy it before it melts or that life is like a hour glass and you should live it to the fullest before the time runs out and those speeches might have also included that "life is a race!! "agar tum tezz nai bhagoge to koi tumhe kuchal kar aage nikal jayega..."
But there's one thing about life that it doesn't give us a do-over. You can't just go back in time, let’s say with magic and change your past life for good, after all 'All magic comes with a price'. Yes, but you can surely learn from your mistakes. For some, life is like a physics equation, which for some is very easy to solve while some poor struggle with it all the time. For some, life is like a chemical reaction gone wrong, while some perform this experiment perfectly. Sometimes life gets full of those happy moments that we start to look forward to our own happy endings, and that's when my friends, LIFE HAPPENS!!!! You can't skip it like you do with your college lectures; you can't possibly outrun or escape it like you try to do with your teachers, so admit it: You gotta live it! You see, for some exceptional ones life is like a joyful roller coaster ride, but for the remaining ones it’s like that term they use in medicine: Perfect storm. It is that time in your life when everything that could possibly go wrong, goes wrong. But that's life guys; it’s like a highly unpredictable chemical or can be called uranium actually. After all you never know when it'll go off balance. So my advice to you will be that life happens when you least expect it and you just gotta take it as it comes and face whatever the challenges life throws at you piece by piece....and maybe you’ll score a homerun. Love What You Do ! I asked another worker the same question. What difference do we find in these two answers? First one is rude and another one is polite. This is as we say external difference or superficial difference. However, the real difference is that, the first worker is not as dedicated to his job as the other. First one has commercial attitude. He is doing the job for earning money and doesn’t have any attachment with that museum. But, another one really loves what he does and finds happiness in building that museum. Means, he really feels that he's doing such a job in which something glorious, eye-catching and spectacular is going to be created. This is what we call dedication or getting not only physically, but also mentally involved in our work. I will do it because I love it!